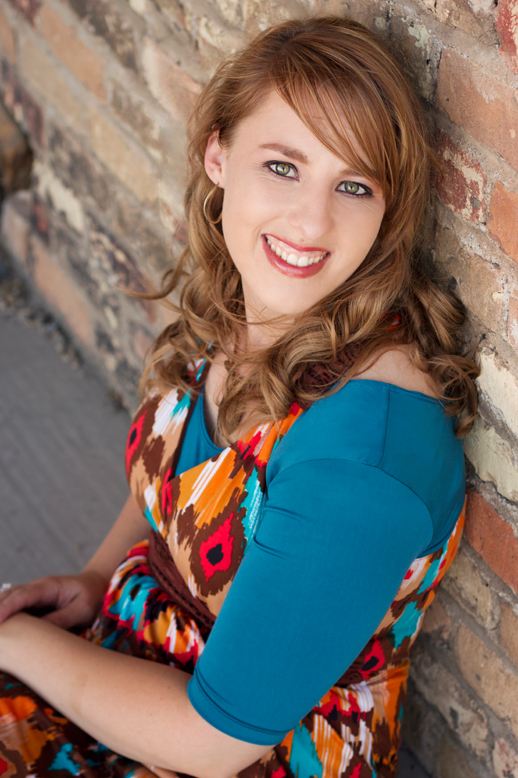 Blog Tour: “Pieces” by Michelle Davidson Argyle – Guest Post! Welcome to the Pieces Blog Tour, hosted by Xpresso Book Tours! Don’t forget to check out the full schedule of events HERE! First, let’s get some background on this series!! When Naomi Jensen is kidnapped, it takes her parents two days to realize she’s missing. Escape isn’t high on her list of priorities when all she has to return to is an abusive boyfriend and parents who never paid much attention to her. For the first time in her life she’s part of a family—even if it is a family of criminals. But she’s still a captive. In a desperate attempt to regain some control in her life, Naomi embarks on a dangerous plan to make one of her kidnappers think she’s falling in love with him. The plan works too well, and when faced with the chance to escape, Naomi isn’t sure she wants to take it. Two years after watching her kidnappers go to prison, Naomi Jensen is still in love with one of them. Jesse will be released in a few years, and Naomi knows college is the perfect distraction while she waits. But when her new friend Finn makes her question what is right and what is wrong, she begins to wonder if Jesse is the one for her … until she discovers he’s out on parole. Naomi must sort through her confusion to figure out where love and freedom truly lie—in Finn, who has no connections to her past, or Jesse, who has just asked her to run away with him. Pieces is a companion to The Breakaway and can be read independently, if desired. 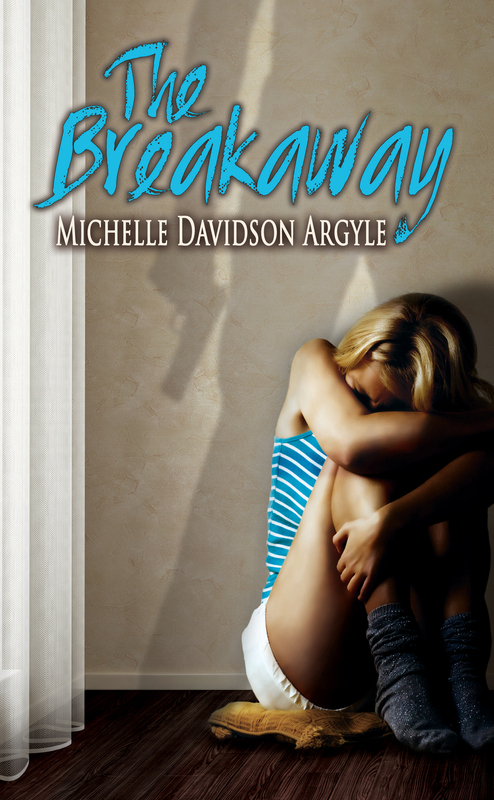 And now, introducing author Michelle Davidson Argyle! Michelle lives and writes in Utah, surrounded by the Rocky Mountains. She loves the seasons, but late summer and early fall are her favorites. She adores chocolate, sushi, and lots of ethnic food, and loves to read and write books in whatever time she can grab between her sword-wielding husband and energetic daughter. She believes a simple life is the best life. 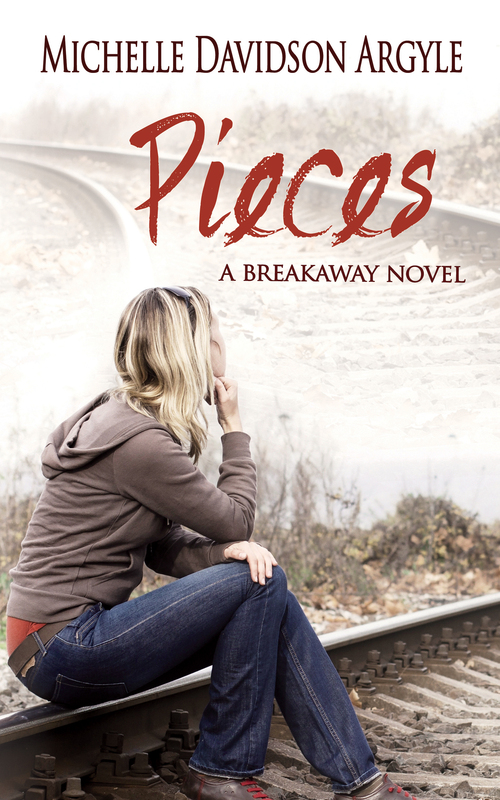 Since Pieces is a companion/sequel novel, The Breakaway inspired the main story. I have to say, however, that Pieces never would have made it onto paper if it hadn’t been for all the fans of The Breakaway who messaged me about wanting a sequel. I didn’t have a sequel planned when The Breakaway came out. In fact, I had sworn at the time that I would never write a sequel. Ever. I’m not a huge fan of sequels, so it wasn’t on my radar at all. It’s not that I didn’t know what happened after The Breakaway. I had always had the idea in my head, and when people would ask me what happened to Naomi after being kidnapped, I’d tell them in a vague sort of way, “She goes to college and meets someone else until Jesse is let out of prison.” Then people would ask me if she ends up with Jesse and I’d usually smile and shrug and say, “What do you want to happen?” I knew what might happen, but I never thought other people truly wanted to know. That story never sounded as exciting as the kidnapping story, so why write it? When messages kept popping up on FB, Twitter, and in my inbox, I stopped and thought, hmmm, maybe people do want to hear this story. Excited, I planned a short story and asked my publisher if they’d be interested in publishing it. They said they were interested, so I started planning out the story. I wrote and wrote and wrote, and to my surprise, the story grew into a novel and than a full-length novel. Go figure! I have to say thank you to all the fans of The Breakaway because Pieces has been an amazing experience for me. Naomi’s story is finally complete!